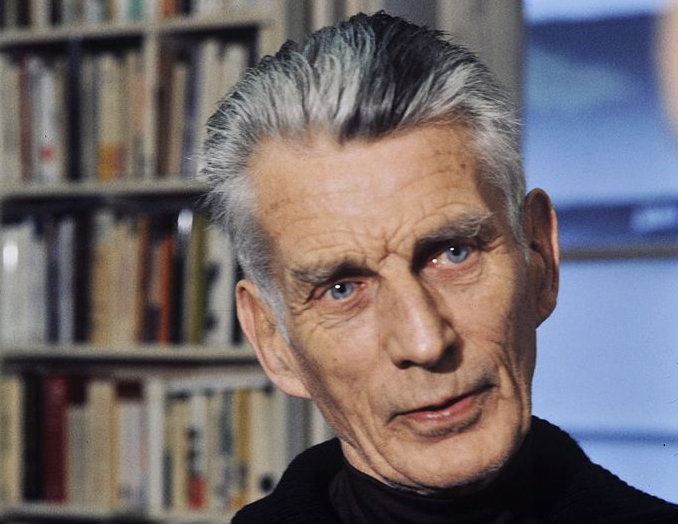 Clad in a black turtleneck and with a shock of white hair, Samuel Beckett was a gaunt, gloomy high priest of modernism. After the 1955 premiere of Samuel Beckett’s play Waiting for Godot (watch him stage a performance here), Kenneth Tynan quipped, ''It has no plot, no climax, no denouement; no beginning, no middle and no end.'' From there, Beckett’s work only got more austere, bleak and despairing. His 1969 play Breath, for instance, runs just a minute long and features just the sound of breathing. You can see the full list below. It was originally published online by Cambridge University Press in 2011. Books with an asterisk next to the title can be found in our collection of 700 Free eBooks. “La 628-E8,” right? “La” isn’t an article to be translated, but rather part of a license plate central to the book? Probably just a typo? I know that Beckett also really liked Robert Pinget. According to his authorized biographer in his final days Beckett was reading Vonnegut’s “Slaughterhouse Five” and found it “fascinating.” I recall once as an undergraduate pointing out to my professor, who was a well-known Beckett scholar, some parallels between Beckett and Vonnegut. The professor rolled his eyes and said something like “Beckett would not be much interested in an American science fiction writer.” His snobbery was not shared by his meal-ticket author. Did Samuel Beckett read and recommend poets? I can relate to this. My professors (in a team-taught class at a top-tier college) pooh-poohed me when I pointed out during “class discussion” instances of Nietzsche being sarcastic and irreverent. My enthusiasm (and trust in the profs’ understanding of their subject matter [meal ticket!]) was dashed. I later came upon a set of old Philosophy encyclopedias, in which the section on Nietzsche included commentary about how he was often sarcastic. My perceptions were vindicated.